The rapper, also known as Kim Gu Ra's son, made headlines for filling out a marriage license with his girlfriend 2 years ago. On the May 5th episode of 'Knowing Brothers', MC GREE revealed, "The positive part of me is love. I've been in a relationship for 3 years. We'll be going to a traditional village to see the cherry blossoms the day after tomorrow." He continued, "I don't regret having a public marriage. It's actually more comfortable going around." 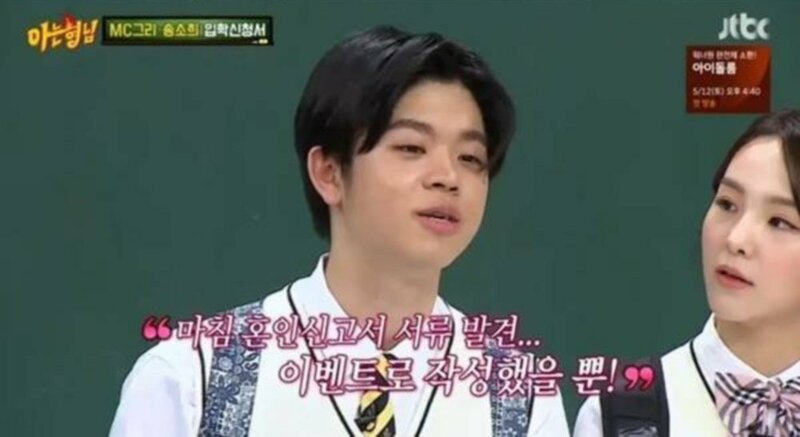 When the 'Knowing Brothers' cast asked about the marriage license, MC GREE explained, "My girlfriend and I went to the government office, and we saw the marriage license forms so we filled them out as an event. We didn't submit it. I put it in my pocket." What do you think of MC GREE and his girlfriend's show of love?